Length: 165mm. Sexes unlike. Male: bill pale-blue grey; iris dark brown; head, above and underparts mostly lead grey; wings and tail blackish brown with feathers margined plumbeous grey. Legs brown. Female: bill dark grey; upper parts of head, hind neck and back pale brown, striated dark brown; lower back, rump and uppertail coverts pale brown. Throat, foreneck and underparts mostly whitish buff striated brown. Wings and tail feathers dark brown with feathers margined buff and whitish. Legs brown. It is easily identified by its coloration and habits. Habitat and behaviour: it occurs in steppes and stony hillsides with grasses and shrubbery where it is found in pairs or in small groups. A very tame and quiet bird, it almost always flies a short distance. 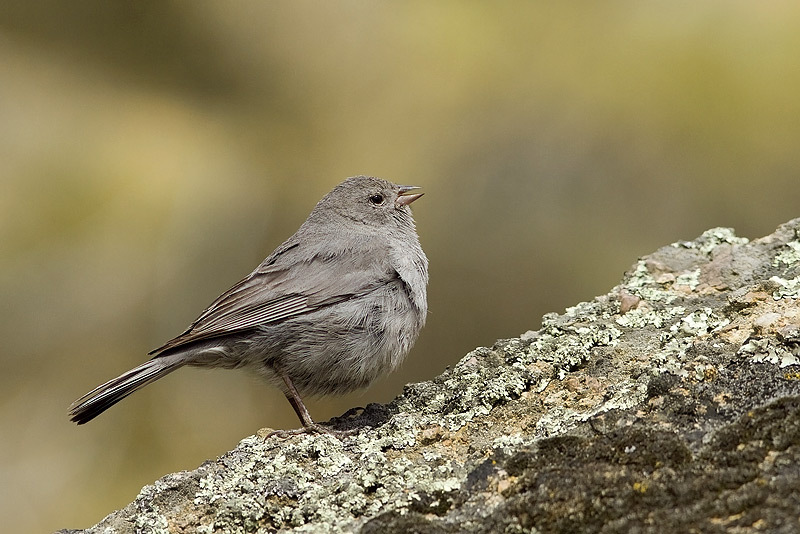 During spring and summer the Plumbeous Sierra-Finch stays in the hilltops and in winter it goes down to the valleys. 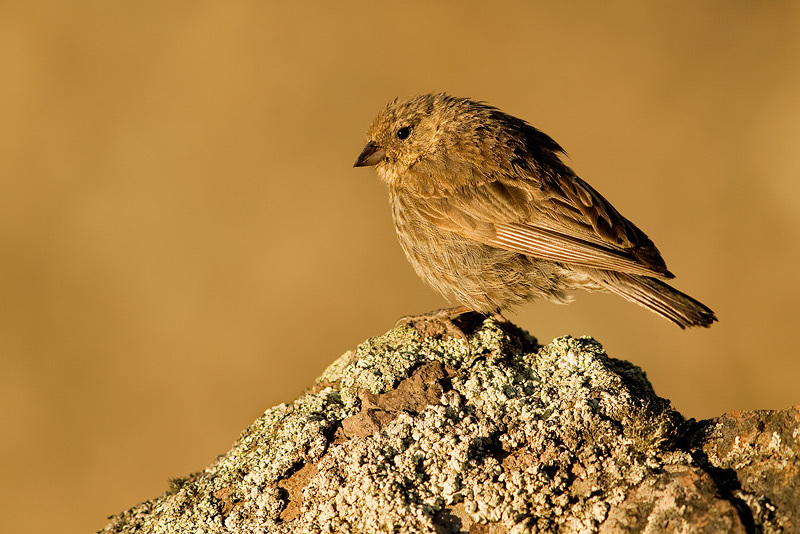 Very terrestrial, it is often found on the ground or perched atop a rock. It nests in burrows dug in banks or in crevices in rocky walls, laying up to three pale blue eggs, mottled brown. 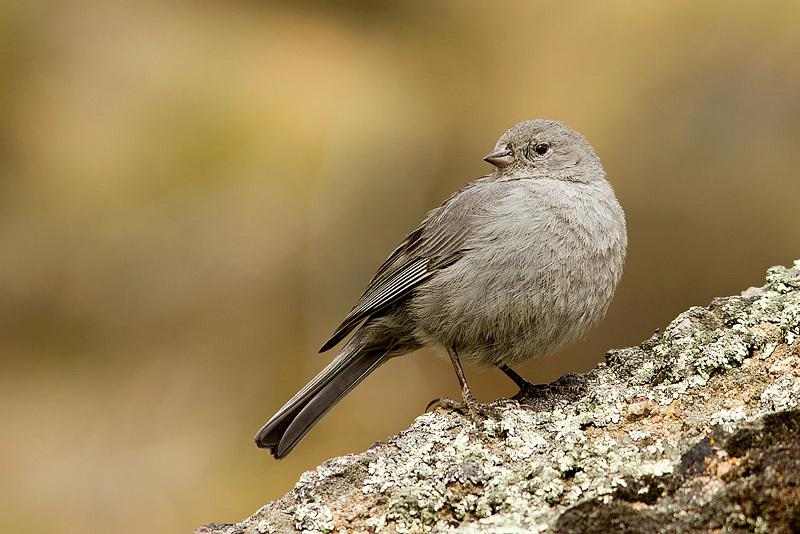 Range: from Neuqu�n to Tierra del Fuego; in the Andean and pre-Andean region the race Phrygilus u. unicolor occurs.